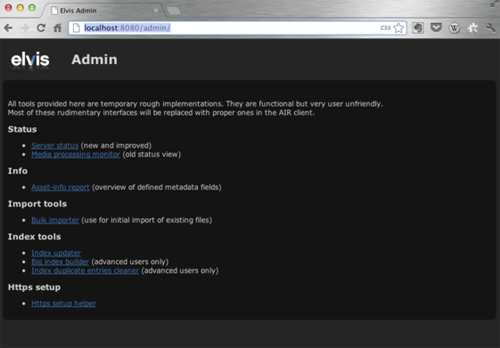 The server has an administration page for advanced users, to do some maintenance and monitoring. Go to the admin page with your browser: http://<yourserver>:<port>/admin. 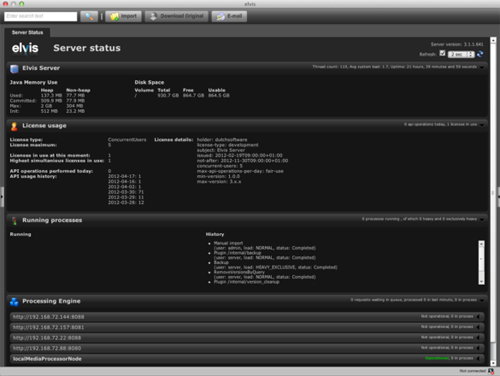 On the server status page, accessed through the admin page, you find an overview of information about the server. The server status page is also available in the System menu of the desktop client.